…Telling the story of the Marriage Institution, Singles Class, Gossip & lots More! Enough pics already!…I could go on and on. Point is, I could ‘die’ for these shoes! 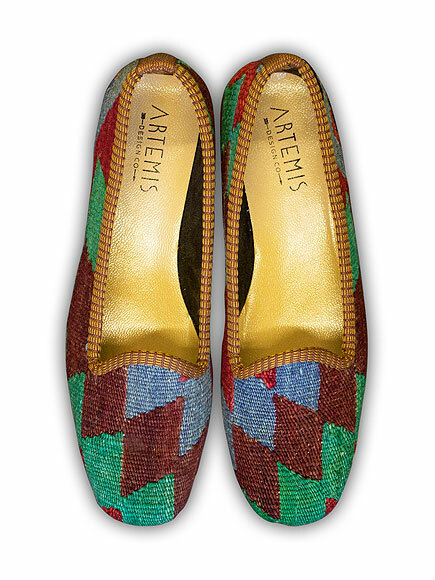 These are Classic Kilim Loafers (Yes, by Artemis Design Co.). You know, I’m not usually a shoe-freak but these ones will definitely freak you! They are not only classy, comfy and could match any outfit you desire (apart from Iro and Buba! ), they are so summer-ready! You can wear them with your cropped Denim pants, summer dress, just about anything. Ehm…they are a teeny weeny bit pricey though…but not to worry, if you are like me, the ‘numbers’ shouldn’t matter that much! This entry was posted in Fashion Trends and tagged Artemis Design Co., Classic Kilim Loafers, shoes. Bookmark the permalink.